Good Times: Christian Oberholser of Coatesville, PA 28lbs. Alfred Gabel of Middleburg, PA 33lbs. Craig Gabel of Middleburg, PA 28lbs. Matthew Shaffer of Sunbury, PA 30 lbs. Robert Oberholser of Coatesville, PA 30lbs. Tim Hagerich of Hatteras, NC 33lbs. Hatteras Fever II: William Devilbiss of Halethorpe, MD 20lbs. Joe Calvert of Baltimore, MD 24lbs. Bite Me: Albert Fabula of Centreville, MD 49lbs. Paul Miller of Glen Burnie, MD 40lbs. Stanley Butz of Westminster, MD 49lbs. One boat ventured out but found the weather too breezy and came back to the dock. Colder temps moving back in the next few days. The old saying "March in like a lion, out like a lamb" certainly applied today. Spring is in the air! 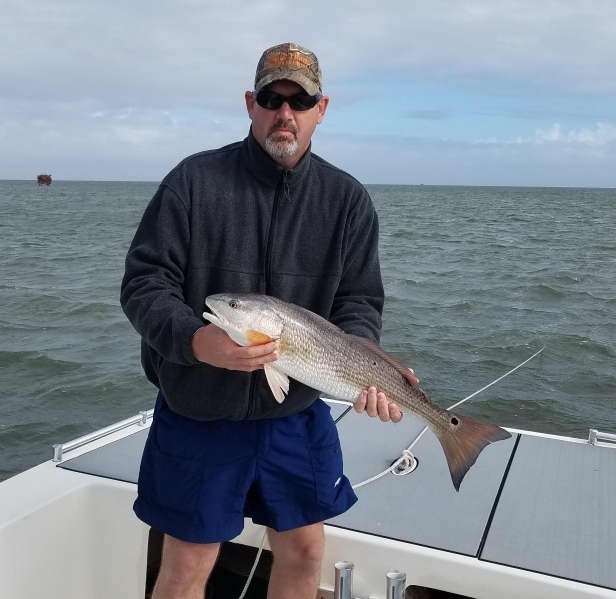 Inshore fishing is picking up with Gray Trout and Bluefish being caught. It was so calm today that they ventured out into the ocean and returned with Black Sea Bass as well. 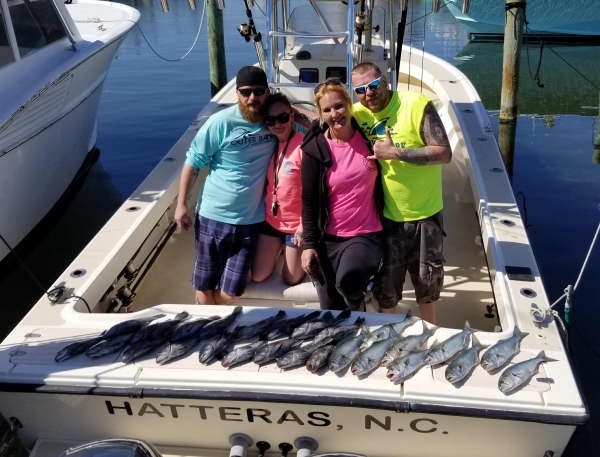 Offshore charters experienced a good Tuna bite with Blackfin and Yellowfin thrown in the box. A few Wahoo and King Mackerel were caught. 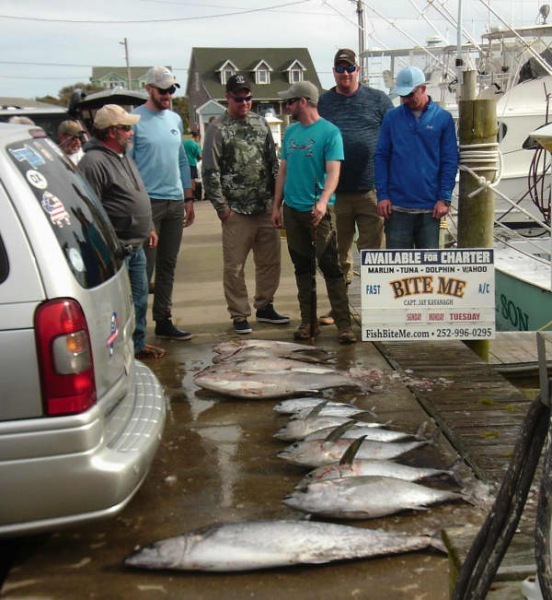 Amberjack, Blue Runners, and Albacore were in the mix as well. Bottom fishing was good. 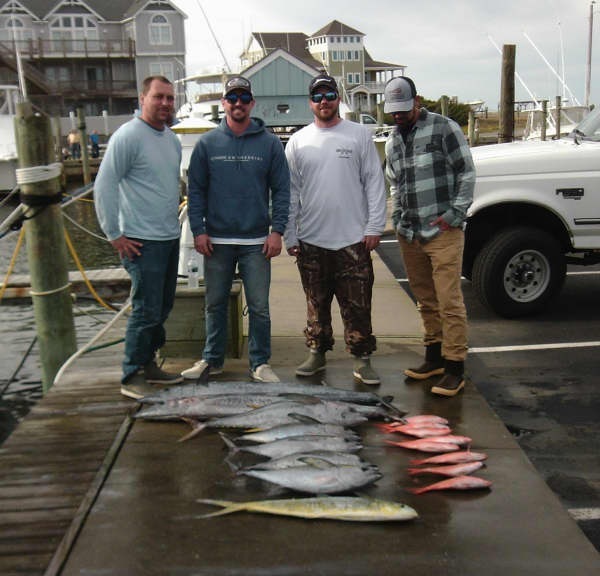 If you are on Spring Break, come to Hatteras and enjoy a half day (inshore) or full day (offshore) fun fishing expedition. Call 800-676-4939 to book your trip today! Bite Me: Andrew Deyoung of Boston, MA caught a 39lb King Mackerel. It has been a while, but we actually had charters that fished offshore today! They reported calm seas, bountiful sunshine, and a warm breeze. 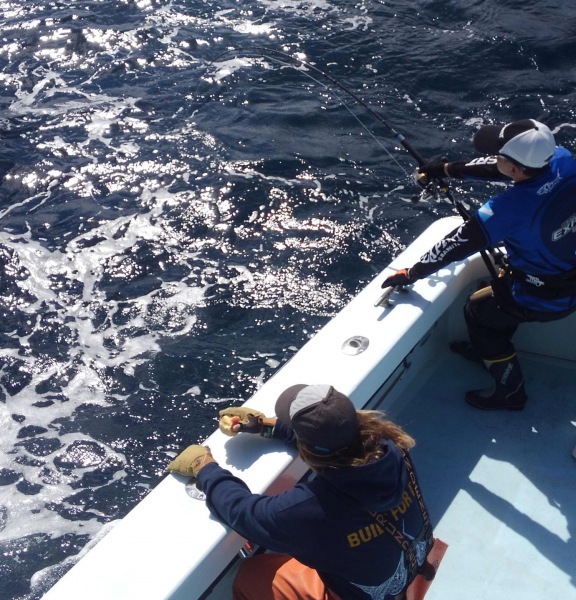 The Tuna bite was fair with Blackfin and Yellowfin being caught. At least one Wahoo was reported. Add in a couple of King Mackerel and scattered Mako Shark action for excitement. 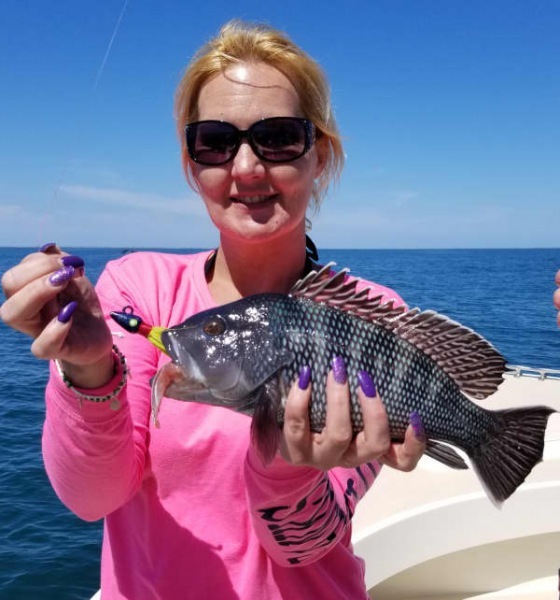 Bottom fishing was good with Black Sea Bass and Triggerfish. Spring appears to be here - don't miss out - give us a call at 800-676-4939 to book your trip! We saw the first day of spring come in overcast and off and on rain for the day. No boats were chartered today. We are turning that corner into our hottest fishing peak don't miss out. 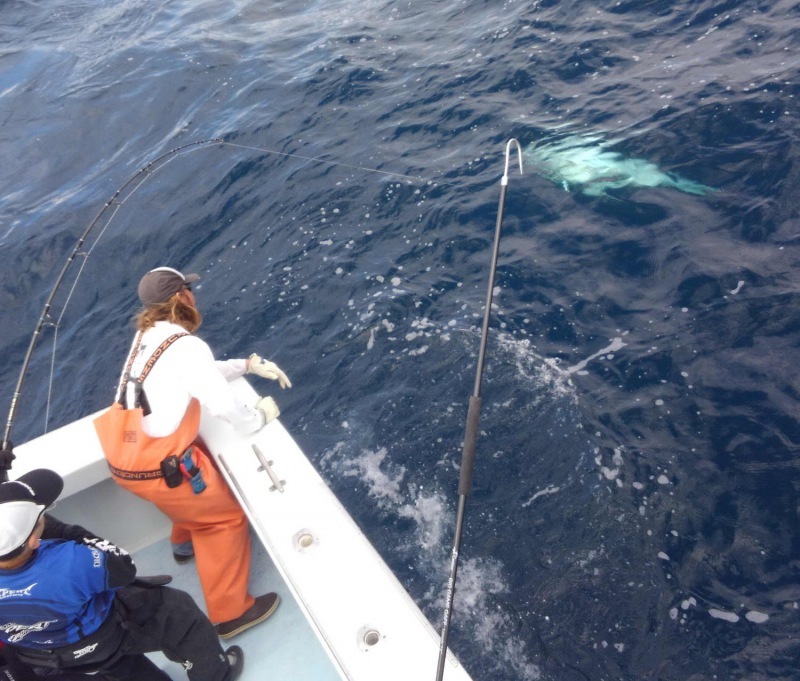 Check out the photos from Monday's Bluefin Tuna that were sent in! Temps in the upper 50's today with a couple of boats fishing Offshore. 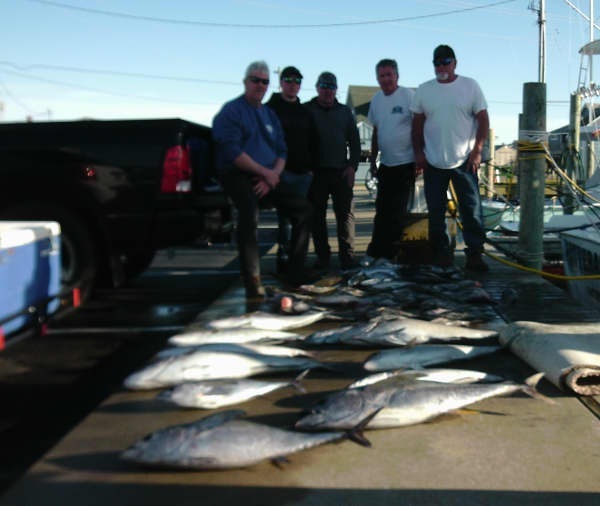 They caught excellent Blackfin Tuna and a few Wahoo. 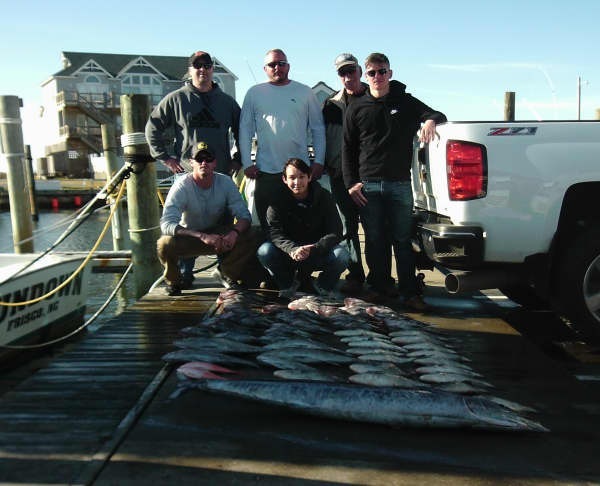 Release: Taylor Deemer of Lewes, DE caught a 44lb Wahoo and a 27lb Blackfin Tuna. 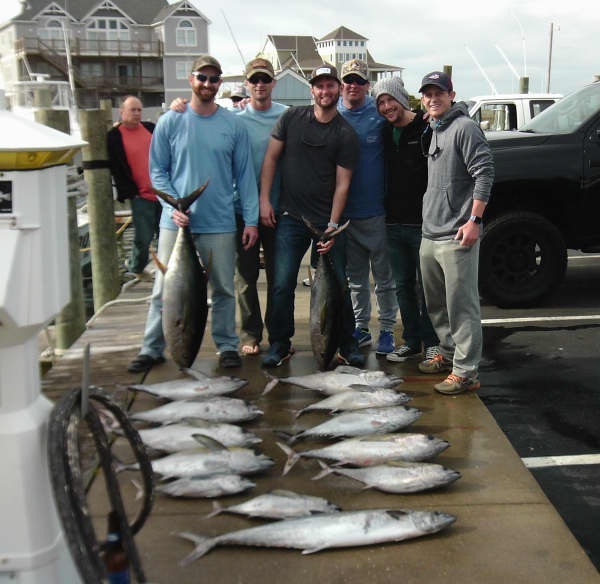 Dustin Schell of Lewes, DE caught a 28lb Blackfin Tuna. Fishing was on the scrappy side for the couple of boats that went out. There were a few Blackfin Tuna and Sea Bass. Good Blackfin Tuna fishing today out on the bluewater. 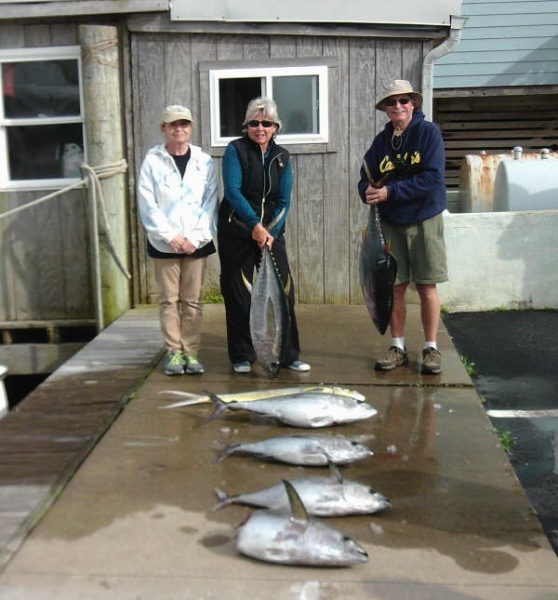 There were also gaffer Dolphin and Yellowfin Tuna. Wahoo were also being seen. Temps were in the 60's today. Feels like we might be making the turn into Spring so don't miss you fishing day!